Qitzur Olam ha-Tiqun. Kabbalistic work by Joseph Solomon Delmedigo. קיצור עולם התיקון למהר″ו יש″ר. Qitzur Olam ha-Tiqun. 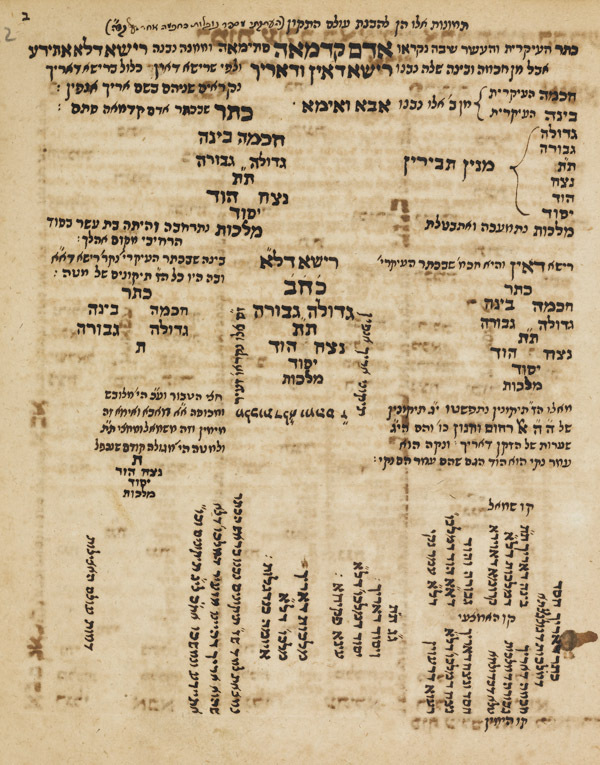 Kabbalistic work by Joseph Solomon Delmedigo, copied by Pinhas Bemali (? ), c. 1760. Hebrew / Paper / 20,8 x 17,3 cm. / 3+ ff. (last 5 ll. blank) / Small Ashkenazic cursive writing with square headings.